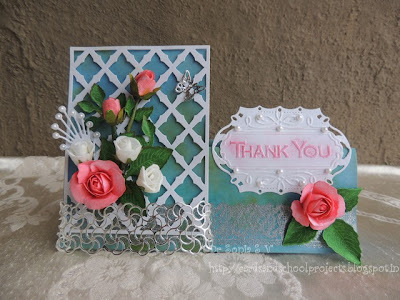 Joni Said: Karin great use of patterned papers, gorgeous coloring on this sweet image. Blankina Said: Karin- sweet image and love the pretty black thank you text! Holly Said: Such an adorable image and I love the colors, flower embellishments and the great design. Marcy Said: Gorgeous card! I love her pretty image and the beautiful flowers on her card! Dangina Said: she had the most beautiful die cuts and card design! The colors and flower are awesome but, the sentiment was my favorite part of it all! Nikki Said: Gorgeous handmade flowers, beautiful die cuts and lovely colour combination. Just beautiful. 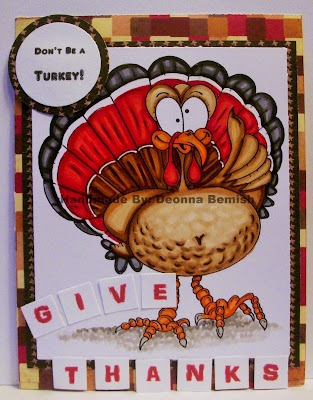 Shanna Said: talk about amazing coloring and a perfect card. 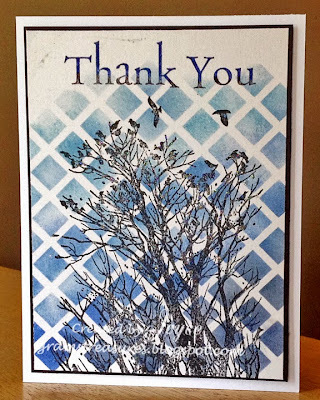 Thanks a bunch for selecting my card as one of your faves! Also, for your wonderful challenges. Thank you SO VERY MUCH! Holly and Marcy :) For choosing my card. I am so so so excited!! THANK YOU!! !